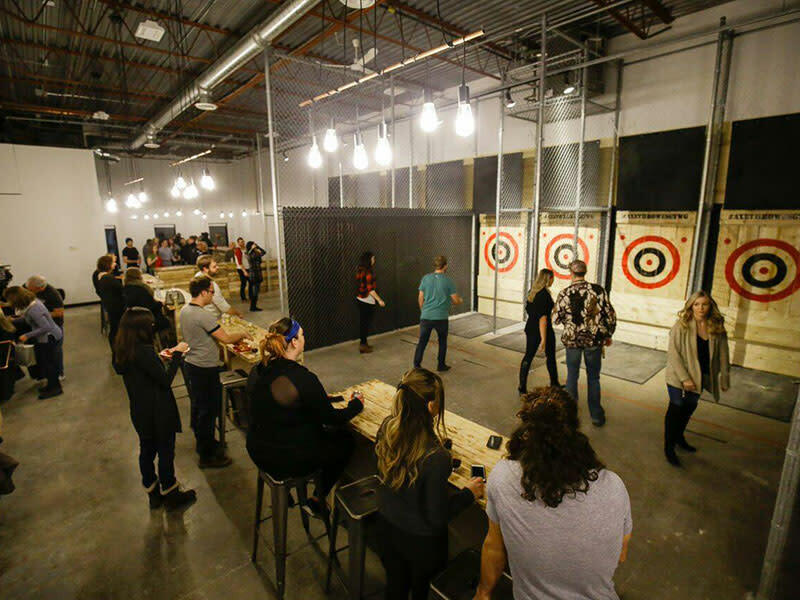 AXE Throwing Winnipeg hosts awesome people like you for axe throwing adventures. Sign-up for an 8-week league, or book a private event today! 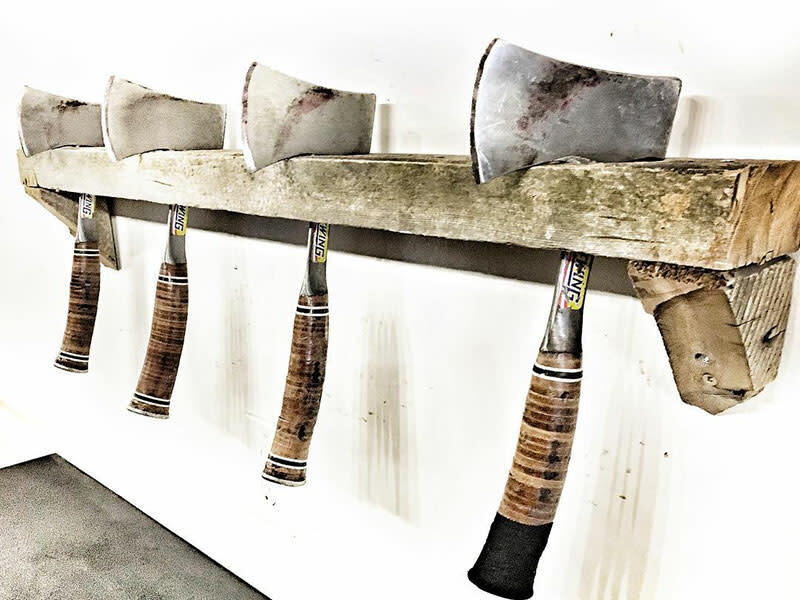 The rules are simple: Players go head-to-head throwing forged steel and splintering wood for points. Our skillful coaches will facilitate your event by teaching range safety, throwing fundamentals of different axes (and knives if you’re lucky), and maybe even trick throws. We’ll take you through round robin competition for points, culminating in an elimination tournament to win a spot on the podium, and serious bragging rights for years to come!